What everyone can agree on, though, is that there are definitely more seed and early stage funds now than ever before, and more people willing to give money to young companies looking to make it big. 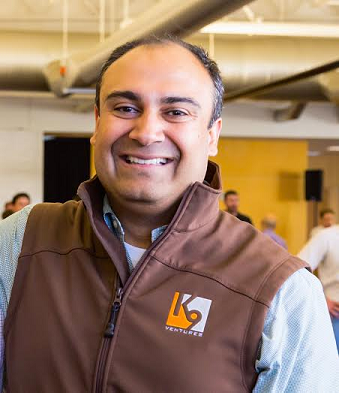 Manu Kumar is Founder and Chief Firestarter at K9 Ventures. Kumar was the Founder, President and CEO of SneakerLabs, a company which developed software and services for web-based customer interaction. After the acquisition of SneakerLabs, he served as the Vice-President of Interactive Technologies for E.piphany. He then served as the Chairman and CEO of iMeet, a provider of web-conferencing services. 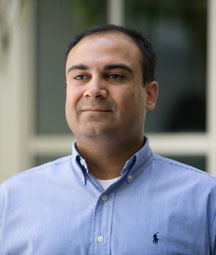 He holds a Bachelors in Electrical and Computer Engineering with University Honors and a Masters in Software Engineering from Carnegie Mellon University; and a Ph.D. in Computer Science with a Distinction in Teaching from Stanford University. Manu Kumar: At K9 Ventures we do not follow a sector strategy. Instead we focus on first principles and look for each company to have something new and unique. . There are three forms in which a company can have something new and unique: 1) New technology (the most common form, examples are Twilio, Coin, Occipital). 2) New market (less common form, examples are Lyft and eShares) and 3) New business model (least common, non-K9 portfolio examples are PriceLine and SolarCity). At K9 we focus on the first two, either core new technologies and technology platforms or new markets. We don’t have categories of interest. VCs don’t see the future in a crystal ball (and if they tell you that they do, then they’re either fooling you or worse fooling themselves). Founders create the future -- not on the basis of what area is going to be interesting, but based on solving a problem and fulfilling a need. If I know of a problem that needs to be solved, then I would start a company to do it, as I did with CardMunch and eShares. MK: My best performing investments have been Lyft and Twilio. What stood about those investments is that the founders did an amazing job of growing with and staying ahead of what the company needs. Another company which is going to have widespread impact is eShares, eShares is going to change the way the private companies manage their equity. MK: I use five qualifying filters, which are necessary but not sufficient for me to consider an investment. Technical founders, or founders who are capable of building their own product, with at least one founder who is capable of leading and building the team. New Technology or New Market, meaning no "me too" ideas. Each company must have something unique and different about what it is doing. Direct Revenue, meaning no three-way business models and no advertising, media, or content. Hyper-Local, meaning the entire team should be based in the San Francisco Bay Area. Frighteningly Early. K9 likes to be the first institutional money invested in a company. Assuming a company meets these filters, then I can engage and explore further. One unspoken, but very real filter is “Can I get excited about what the company is building?” Sometimes it’s just not something that I can personally get interested in and that’s a damn good reason to not invest. MK: I attended Carnegie Mellon for my undergraduate and masters. I started my first company when I was 20. We grew it to just under 20 people and were acquired at the height of the bubble in 2000. In late 2000, early 2001 I started my second company to test whether I can build a successful company again. That company merged with another company in Boston and grew to about 80 people and was acquired in 2005. Shortly thereafter, while working on my PhD in Computer Science at Stanford, I started helping the founder of Lytro with getting that company going. We went up and down Sand Hill together in 2007 and it struck me then that: a) Most VC firms were writing a check between $3 million and $4 million, b) They were not taking technology risk, and c) most of the new blood on Sand Hill at the time didn’t have startup experience and instead came from a finance/consulting background. Those three things made me realize that there is an opportunity to start a new kind of firm, that can write a sub-$1M check, and work with companies in the “frighteningly early” stages. That’s what K9 does. MK: I get to work with some of the smartest people who build the future (founders), on the coolest new technologies that I sometimes get to see and experience years before the rest of the world. On top of that we get to figure out how to turn this technology into a real business. Along the way I get to teach/coach founders based on what I’ve learned, and get to learn something new every day. I love to do all of those things and I’m excited that I get to do that every day. MK: I am currently investing out of K9 Ventures II, which is an institutionally-backed $40 million fund. MK: Initial investments are typically around $400,000 to $500,000, typically part of a Pre-Seed round of financing. K9 will follow-on in the Seed, the Series A, and the Series B rounds, so the total investment per company can be as high as $4 million. MK: There is no typical and it varies on a deal by deal basis. MK: About half way. K9 Ventures II has invested in about 10 companies so far and I expect the final portfolio to be closer to about 20 companies. MK: It’s simple to calculate: my initial investments average $500,000 and the portfolio is ~20 companies, so that’s about $10 million and the remainder goes towards follow-on investments. MK: Typically Pre-Seed and then following on in the Seed, Series A and Series B.
MK: 4 to 6 new investments in a year, but that’s an average, not a quota. MK: I chose the name K9 for two reasons. The politically correct reason is that I happen to love dogs. The non-politically correct reason is that most VCs are sheep. In closing I’ll add that K9 follows a disciplined approach to investing based on the criteria described above. We want founders to do their homework, and self-select whether or not K9 would be a good match for them. The best way to contact us is through a referral from a trusted connection.